“I use the material that I have and my own experiences. The more I write fiction, the more I see it as the best way to get at the truth and the only reason for writing it” he told Write On! The series of four novels, which began with The Soldier’s Return and was revisited 2008 in Remember Me, are all part fiction and part fact. An aspect of autobiographical fiction is the vulnerability that it gives the writer; but Melvyn sees it as a strength. “I believed the novel would be stronger and more true because of the substratum of factuality” he added. 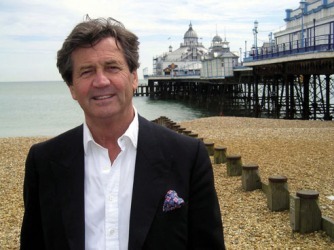 As the presenter of The South Bank Show, Melvyn has met many people, but rather than probe into their personal lives, he presents the audience with information about their careers and the arts. It seems unusual that the man behind such an non-invasive programme would project his life into his novels. However, Melvyn says that for some readers, the more they know of the writer, the more they will appreciate the writing. Melvyn, originally from Wigton, has returned to Words by the Water for 2009 as his eighth year as president. The position is one he remains very pleased with, as he feels that a festival that celebrates literature, especially in somewhere as pleasant as the Lake District, is long overdue. “Other places have festivals that are very successful and they have none of the advantages of Keswick. There are huge literary associations with Keswick with writers such as Thomas Brown and many others who have written about Keswick” he said. Another positive aspect for Keswick in terms of tourism is that the festival brings in approximately 40,000 people in a fairly dead time of year. Melvyn says it gives people an idea of what Keswick offers, bringing in people who wouldn’t usually come to Keswick including those who live in further reaches of Cumbria and Northumbria. He feels the creation of the county’s own higher education platform will again help to encourage the growth of the arts within Cumbria, and says recent developments of the University of Cumbria will hopefully add to the arts tradition. The former arts college offers a number of courses in a range of the arts and from September, is offering a masters degree in Literature, Romanticism and the English Lake District, something that Melvyn welcomes. The University of Cumbria was officially launched in August 2007, something that Melvyn feels is very positive for the county. “It’s about time, and it is long over due. Carlisle is a natural university town; it just feels like a uni town. It has a great history with the Cathedral and is an ideal small uni city” he said. Bragg hopes the play, directed by Ian Forrest, will follow in the footsteps of previous books which have helped fly the flag for Cumbria, something his longstanding tenure of Words By The Water is set to continue, along with his continuing passion for the county. The Maid of Buttermere is on at the Theatre by the Lake between March 21 and April 18.